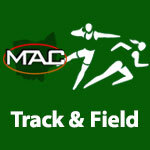 April 2017 – MidwestAthleticConference.com – The Official Site of the Midwest Athletic Conference for mac news, mac scores and more. Delphos St. John’s 4 Coldwater 0, 5 inn. Fort Loramie 5 St. Henry 2, 5 inn. Parkway 3 Wayne Trace 0, 6 inn. Coldwater 10 New Bremen 0, 6 inn. Versailles 13 New Knoxville 0, 5 inn. Parkway 10 Fort Recovery 0, 6 inn. Minster 5 Versailles 4, 8 inn. Parkway 13 Fort Loramie 0, 6 inn. Riverside 7 New Bremen 6, 10 inn. Versailles 10 Shawnee 0, 5 inn. Parkway 12 Lima Central Catholic 0, 5 inn. 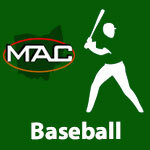 Coldwater, Fort Recovery & Delphos St. John’s are ranked in the 2nd Weekly OHSBCA Baseball State Coaches Poll. 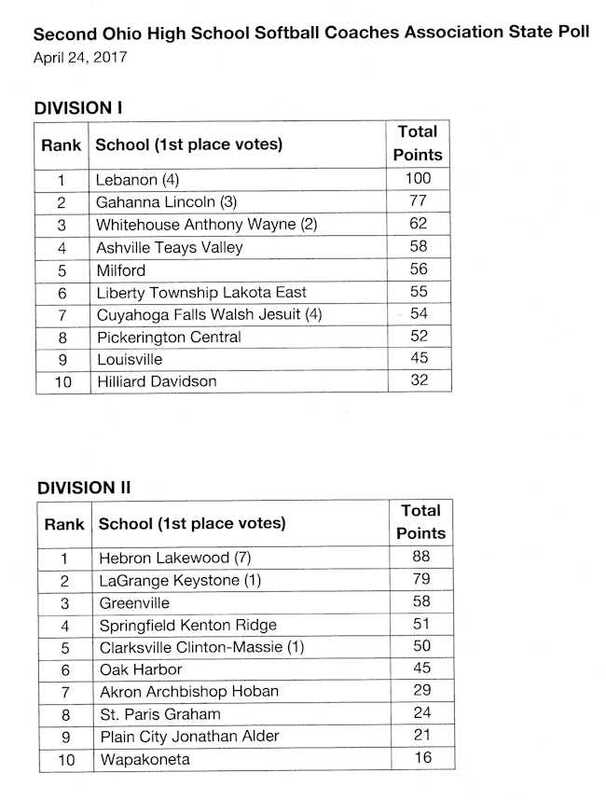 Coldwater is ranked 6th in Division III. Fort Recovery is ranked 9th and Delphos St. John’s is ranked 15th in Division IV in the 2nd Weekly OHSBCA Baseball State Coaches Poll. By admin|2017-04-29T01:31:47-04:00April 24th, 2017|Baseball, Coldwater Cavaliers, Delphos St. John's Blue Jays, Fort Recovery Indians, MAC, Scores|Comments Off on Coldwater, Fort Recovery & Delphos St. John’s are ranked in the 2nd Weekly OHSBCA Baseball State Coaches Poll. 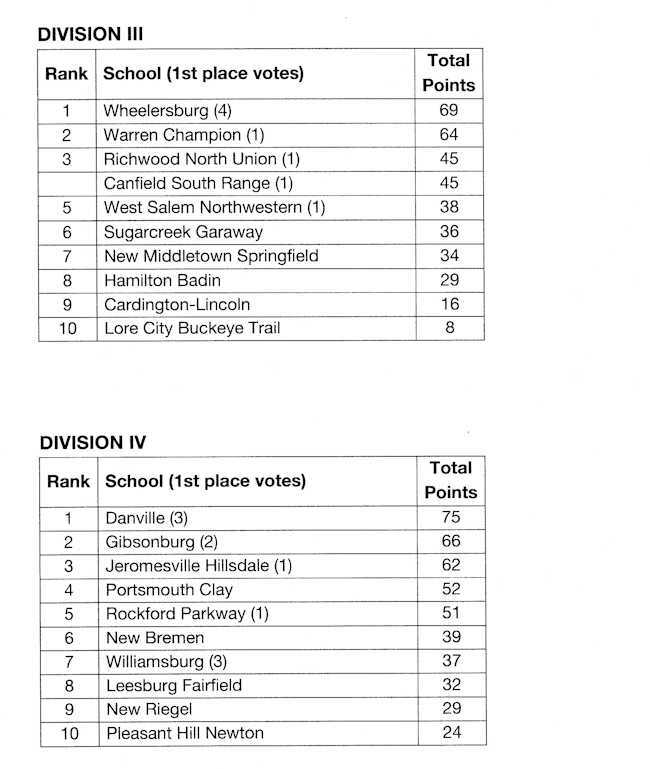 Parkway & New Bremen are ranked in the 2nd Weekly OHSFSCA Softball State Coaches Poll. Parkway is ranked 5th and New Bremen is ranked 6th in Division IV in the 2nd Weekly OHSFSCA Softball State Coaches Poll. 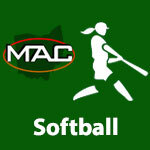 By admin|2017-04-29T12:46:24-04:00April 24th, 2017|MAC, New Bremen Cardinals, Parkway Panthers, Scores, Softball|Comments Off on Parkway & New Bremen are ranked in the 2nd Weekly OHSFSCA Softball State Coaches Poll. St. Henry 12 Fort Jennings 2, 6 inn. Spencerville 17 Fort Recovery 7, 5 inn. Spencerville 18 Fort Recovery 8, 6 inn. Minster 13 McComb 2, 6 inn.